Are we all getting into the Christmas spirit yet? I am enjoying seeing lots of Christmas crafts popping up on my Instagram feed, and getting a plan of action ready for my Christmas makes. 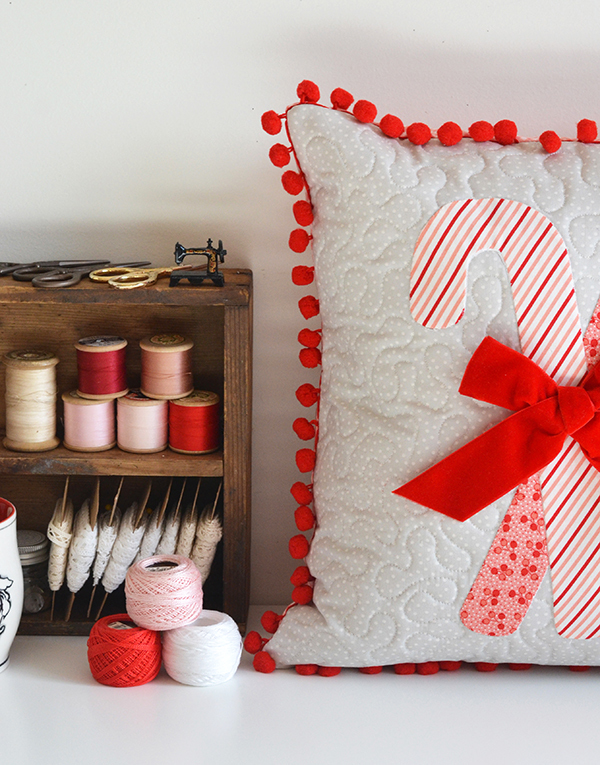 Those of you following me on Instagram would have seen me sewing along to the Lori Holt Cozy Christmas QAL. I also have an advent calendar in planning stages - stay tuned... 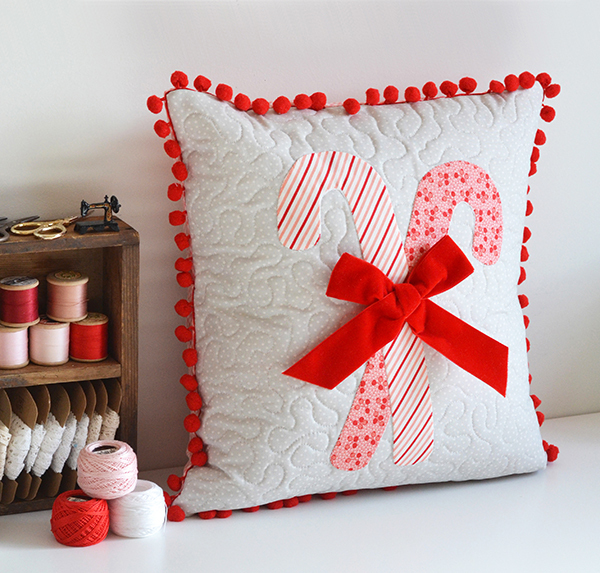 In the mean time, here's a Christmas cushion that I made that is featured in this month's issue of Love Patchwork & Quilting! This issue is the magazine's annual 'festive' issue which is out in the UK and digital newsstands now (coming to US stores in a few weeks' time). 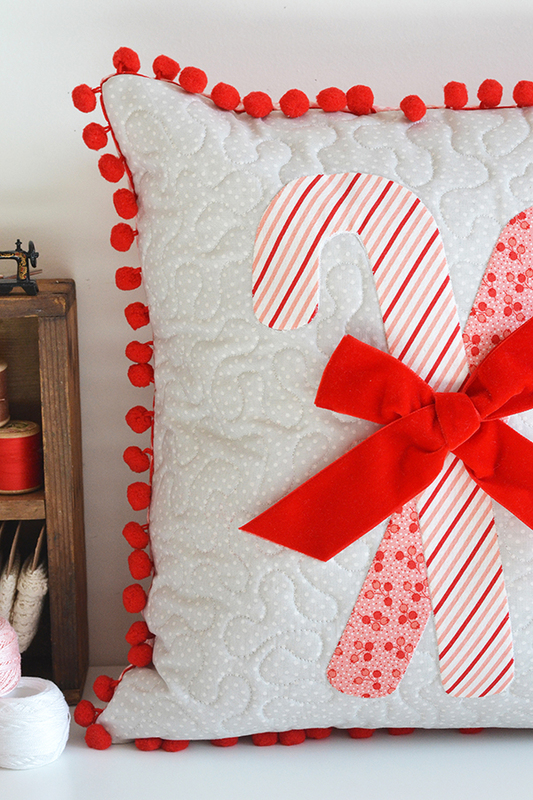 The candy canes on my cushion are interfaced applique (which can be hand or machine sewn onto the background), finished off with a velvet bow. 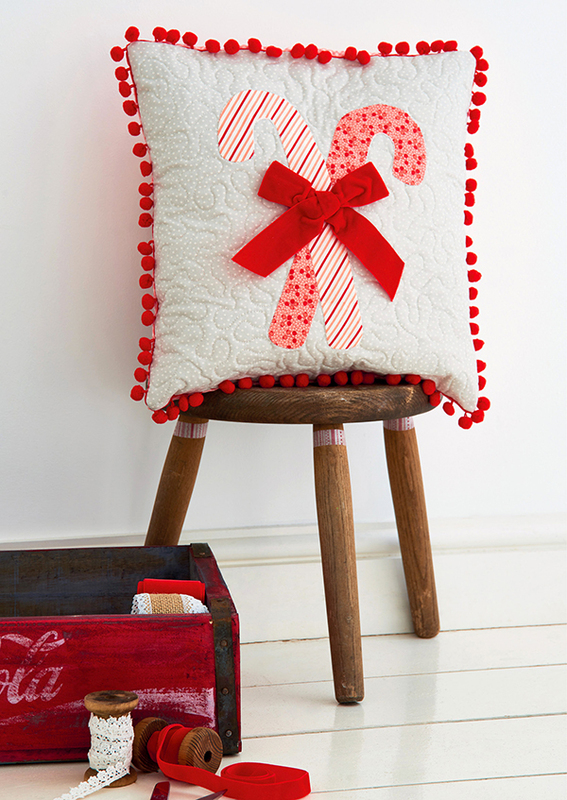 The red pompoms around the perimeter add a cute festive touch! 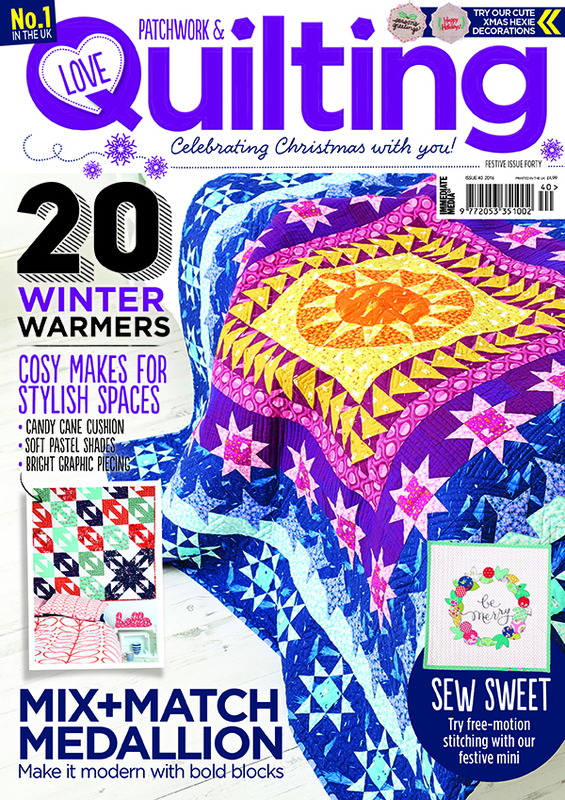 And here's the picture of my cushion as featured in the magazine (photo credit: Love Patchwork & Quilting). 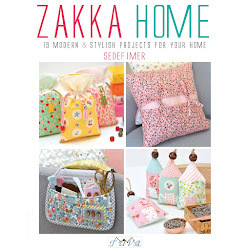 I love love love the way they have styled it! 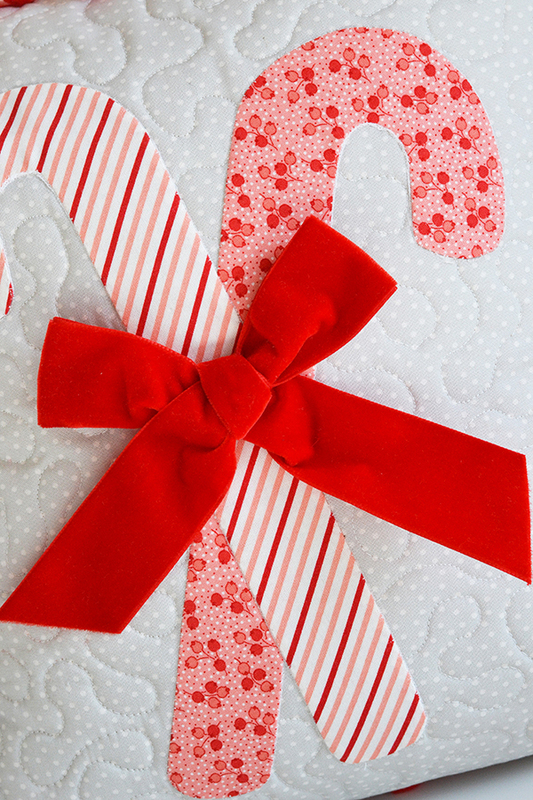 Thanks for visiting, and happy Christmas crafting! Only 73 days to go! 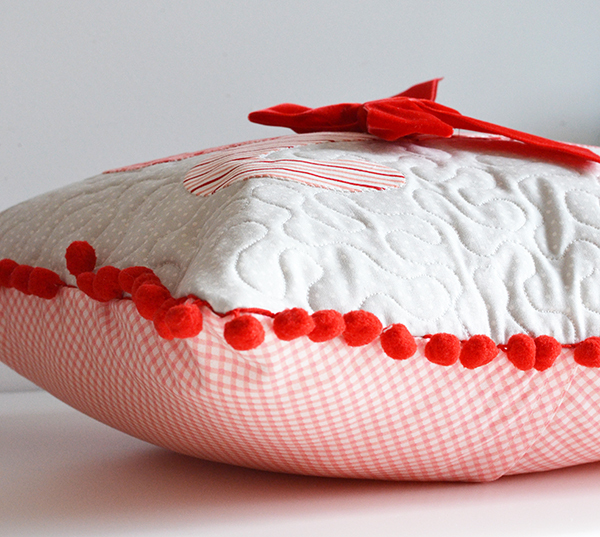 Perfect pillow for Christmas. Love it! This is so pretty! 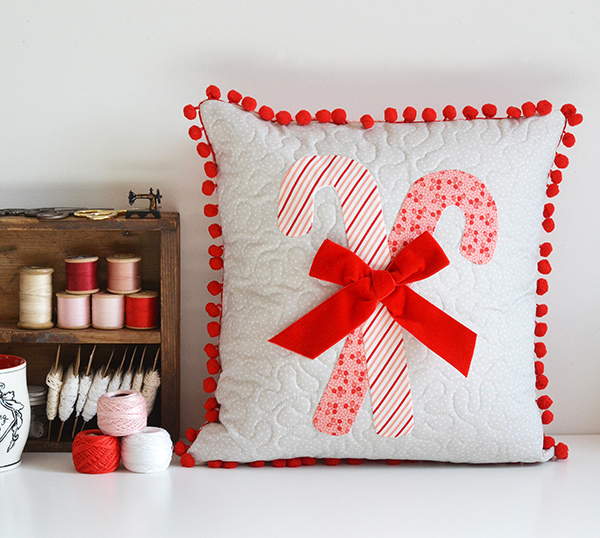 Reminds me of Lori holt's candy cane block in her cozy christmas quilt. Love the velvet bow, it adds a touch of elegance. Cannot wait until Christmas!